Jason Dufner and Fred Couples are second round leaders at 5-under-par at the Masters in Augusta, Georgia. 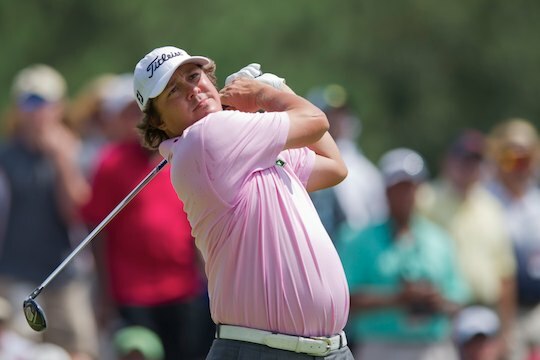 Dufner fired rounds of 69-70, with Couples carding rounds of 72-67. The pair share a stroke lead over first round leader, Lee Westwood, who carded a second round 1-over-par 73 after opening with a 5-under-par 67 to be in a tie for third position. Westwood is at 4-under-par along with Louis Oosthuizen, Sergio Garcia, Rory McIIroy and Bubba Watson. Aaron Baddeley is the best of the Australians at 2-under-par with back-to-back rounds of 71 to sit in a tie for 11th. Adam Scott is currently in a tie for 31st position at plus-1 after rounds of 75-70, with Geoff Ogilvy the only other Australian making the weekend at plus-2 with rounds of 74-72. The cut came in at five over par with John Senden and Bryden Macpherson missing the weekend, Senden finishing one short of the cut mark at six over and Macpherson at nine over with rounds of 77-76. Jason Day was forced to withdraw with a left leg injury midway through the second round. Day battled through seven and a half holes before finally calling it quits with his strained ankle ligament causing too much discomfort. Tiger Woods fired rounds of 72-75 and moves in to the weekend in equal 40th at plus-3, eight behind the leaders.